Amsterdam, January 15 2019 – This doll is dangerous. According to the European Commission’s consumer safety initiative, Safety Gate, it contains high levels of the chemical DEHP, which may harm children’s health by “causing possible damage to the reproductive system”. The risk level for this doll is categorized as serious — DEHP, which acts as a plasticizer, is found in the doll’s head at 19% (by weight). It behaves as an endocrine disruptor and has been shown to affect childhood development and thyroid function in addition to the reproductive system. It’s not just this doll. A scan of weekly reports of unsafe products generated by Safety Gate reveals a wide range of items, from clothing to face-paint to household appliances, that are considered unfit for consumption yet are readily available on the European market. To counter this, the Rapid Alert System for Dangerous Non-Food Products keeps a database on the thousands of harmful products within the EU; there have been 17,622 alerts across 31 countries since 2011 alone. Once an alert has been submitted, the European Commission facilitates the exchange of information between 31 countries, which often results in the unsafe product being recalled, discontinued, or stopped from entering the EU altogether. Within this system, harmful goods are categorized according to their hazard type (i.e. fire, chemical, choking, injuries, suffocation), and level (“serious” and “other”). The database is updated on a weekly basis, and this information is disseminated to consumers through the initiative’s website and twitter account. 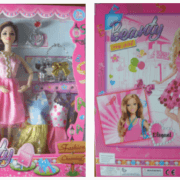 Have a look and see how many products you would possibly buy yourself; these plastic dolls, for example (and this one, and this one…), are believed to pose a serious chemical-related risk to consumers. This classification is determined according to REACH (Registration, Evaluation, Authorisation, and Restriction of Chemicals) criteria. There is a clear relationship between frequently used additives in plastic and human health. Stay informed! 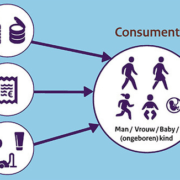 Amsterdam, 17 December 2018 – European legislation must ensure that consumers buy only safe products. There is a system to keep dangerous products from the market. Using the Rapid Alert System can national authorities can intervene quickly. In 2017, toys were the category with the most interventions, as was reported by the European Commission. 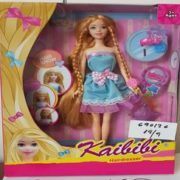 A recent alert (Alert number A12/1843/18) concerns a plastic doll with accessories, made in China. Specified reasons to prohibit this toy are the large amount of plasticizers, phthalates DEHP and DBP, in the dolls (“These phthalates may harm the health of children, causing possible damage to the reproductive system”) and that this is not in accordance with REACH. Other countries are informed via the message and this results in the product being taken off the market. The Rapid Alert System has been effective. REACH (Registration, Evaluation, Authorization and restriction of CHemicals) aims to reduce or ban the use of harmful substances and to promote the use of safer alternatives. Hazardous substances are referred to as substances of very high concern (SVHCs) and are placed on a list. The plasticizer DEHP is such an SVHC and has already been on this list since 2008. However, companies can, in their turn, submit a request for permission to continue to produce or apply a SVHC in special cases anyway. In anticipation of that decision they are not required to stop their production. The problem is that the procedures may take years before a final decision is reached, while all this time harmful substances are being released. In 2013, the Czech company DEZA put in a request to be allowed to continue to produce and use the plasticizer DEHP. The decision about that request will probably finally be made next week. Meanwhile, this company has also made appeals against ECHA (European Chemicals Agency) with the result that the procedure was delayed and, consequently, also procedures on other dangerous chemicals. This was found in an analysis by Politico: an American journalistic enterprise in the United States. There is heavy criticism of companies that go to court with the intention to be able to continue to use dangerous substances. Last year, for example, PlasticsEurope, the lobby organisation of the European plastic industry, took the European Union to court to have BPA taken off the SVHC list, see this report from Euobserver. BPA is a hormone disrupting substance that still is widely added to plastic products. There is also heavy criticism on the internal procedures of ECHA and REACH, because requests for exceptions do not only exceed a reasonable length, but nearly always are approved, whereas much safer alternatives are available. In the meantime, scientific evidence on the harmfulness of toxic chemicals also increases. For more information read the overview Harmful Chemicals in Plastic: How They Still permitted in the EU? compiled by the European Environmental Bureau. Read more – Alternatives for BPA are equally harmful. Read more – Toxic Soup: dioxins in plastic toys. Amsterdam, 20 September 2017 – People are continuously exposed to Bisphenol-A (BPA) and phthalates (plasticisers) in plastic. Around 80 diseases are linked to exposure to endocrine disruptive substances, or Endocrine Disrupting Chemicals (EDCs). As early as 2012, the World Health Organisation (WHO) had already warned of possible carcinogenic qualities of endocrine disruptors in its State of the science of endocrine-disrupting chemicals report, and it concluded that these substances are a threat to human health worldwide. 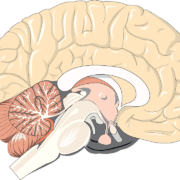 For the first time, it has now been demonstrated that endocrine disruptive substances can settle in the human brain. It was always assumed that volatile matter, such as parabens and phenols, cannot accumulate. The opposite seems to be the case. An international research team, led by Groningen University Medical Center, found endocrine disruptors in human brain tissue that do not leave the body. The results were published in September in the professional journal Environmental Research and Public Health. This new scientific evidence comes at the point that the environmental commission of the European Parliament is to discuss the proposal by the European Union to regulate EDCs. There was much protest against the European Commission, partly because the requirements for burden of proof were so stringent. Last June, the Endocrine Society, the European Society of Endocrinology and the European Society for Paediatric Endocrinology issued a joint statement expressing their severe criticism to the proposal. It is with the power of the European Parliament to force the European Commission to amend the proposal. There is a petition on the EDC Free Europe website which calls upon the European Parliament to ban EDCs and to enforce much more stringent regulations. Sign it here!